Warren Buffet: presidential candidates are wrong about economy. 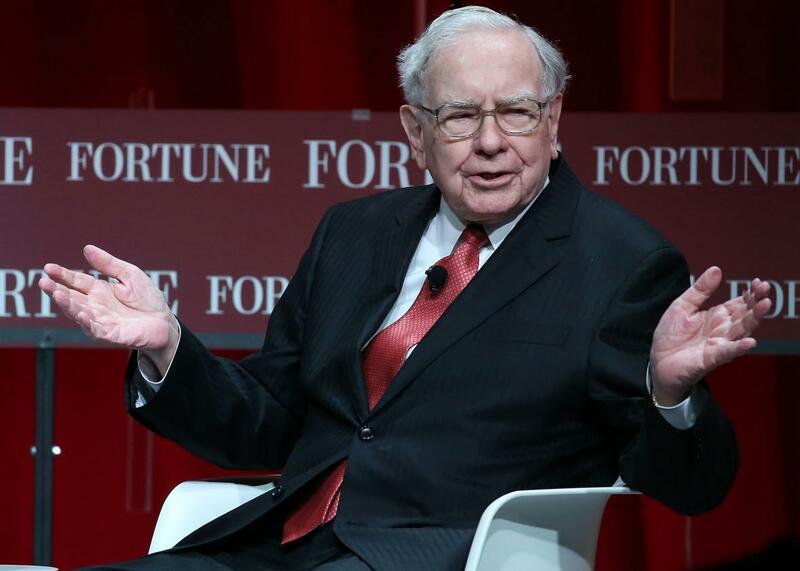 Warren Buffett, chairman and CEO of Berkshire Hathaway, speaks during the Fortune summit on “The Most Powerful Women” at the Mandarin Hotel October 13, 2015 in Washington, D.C. Some commentators bemoan our current 2% per year growth in real GDP — and, yes, we would all like to see a higher rate. But let’s do some simple math using the much-lamented 2% figure. That rate, we will see, delivers astounding gains. Indeed, most of today’s children are doing well. All families in my upper middle-class neighborhood regularly enjoy a living standard better than that achieved by John D. Rockefeller Sr. at the time of my birth. His unparalleled fortune couldn’t buy what we now take for granted, whether the field is — to name just a few — transportation, entertainment, communication or medical services. Rockefeller certainly had power and fame; he could not, however, live as well as my neighbors now do. For 2015, Berkshire Hathaway’s profit rose 21 percent to $24.08 billion.